I’m introducing the Weekly Photo Challenge today to the blog. I hope to make it a regular feature, since I love photography! I may be cheating. I think we’re supposed to take photos specifically for the challenge, but when I saw the theme, I couldn’t resist this one of two of my grandsons who are, by the way, very focused! 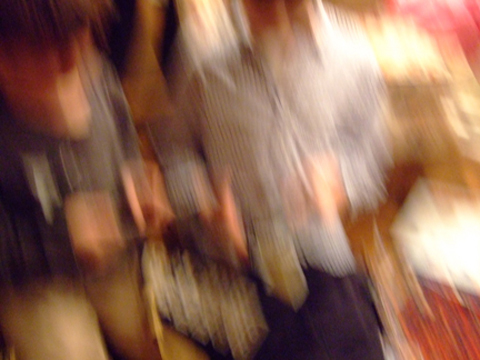 But they are constantly in motion—thus this blurry capture of them in action when they were virtually standing still. A photo like this says oh-so-much about little boys. Sometimes, I feel like my little guy is like the roadrunner –just a shooting blur of color from one side of the room to the other. Where do they get their energy?! Can’t wait to see more of these. Love the weekly photo challenge idea. It was totally accidental, but I love it. A lot of my photos of the grandchildren seem to turn out this way! I picked up on the weekly photo challenge from Misky. I’m looking forward to this challenge. As for boys . . . I have four sons, all grown now. I look back on those years as a whirlwind.